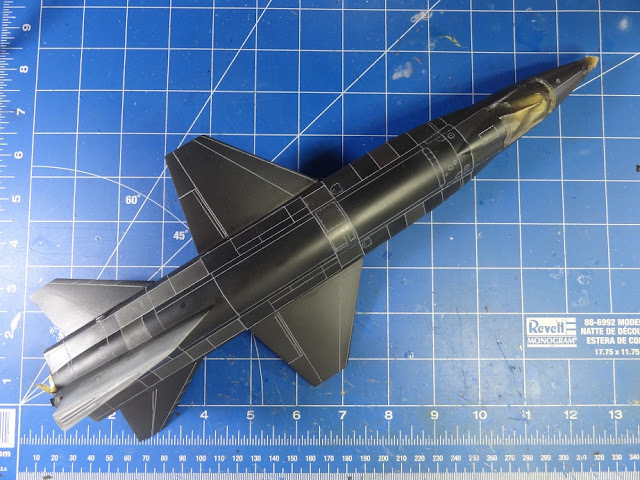 Injected plastic model with resin parts and waterslide decals. 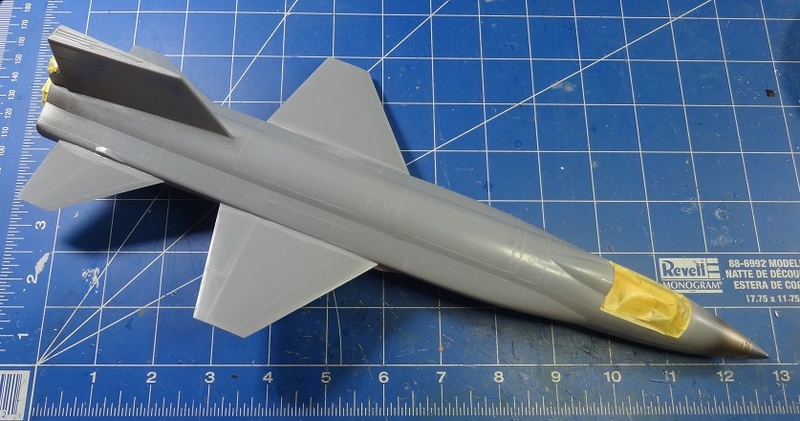 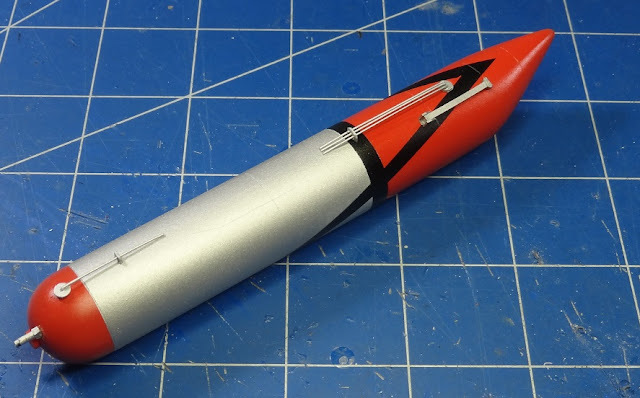 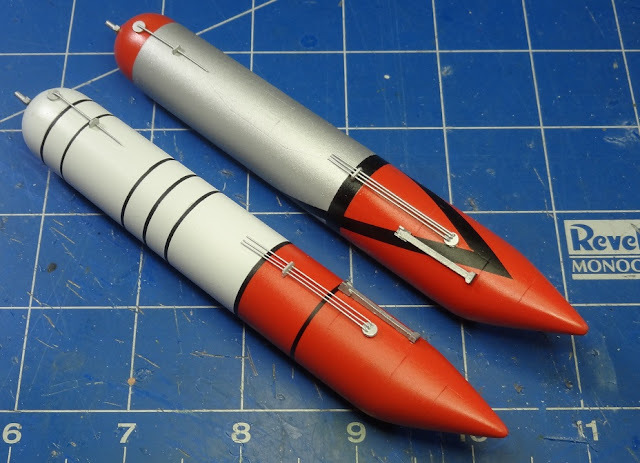 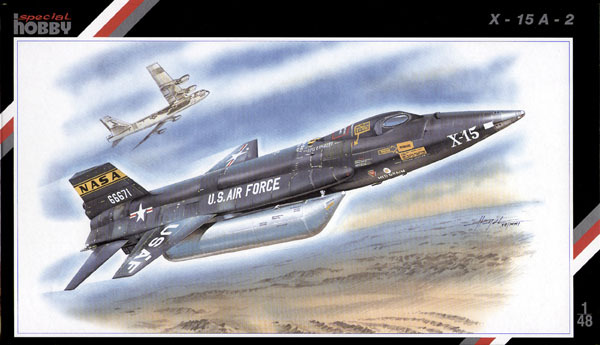 This is Special Hobby's 1/48 scale X-15A2 under construction. 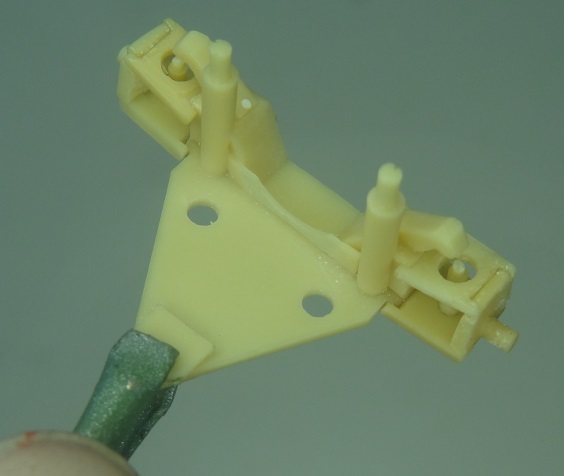 As a limited run kit, you have to deal with some special problems. 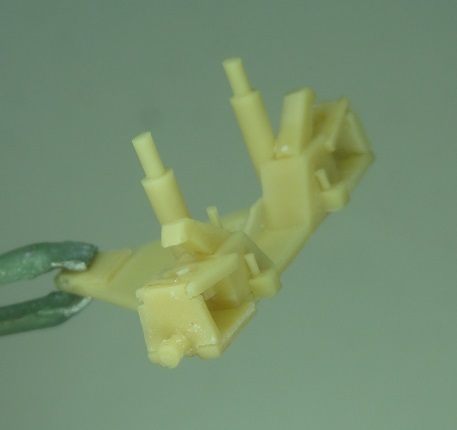 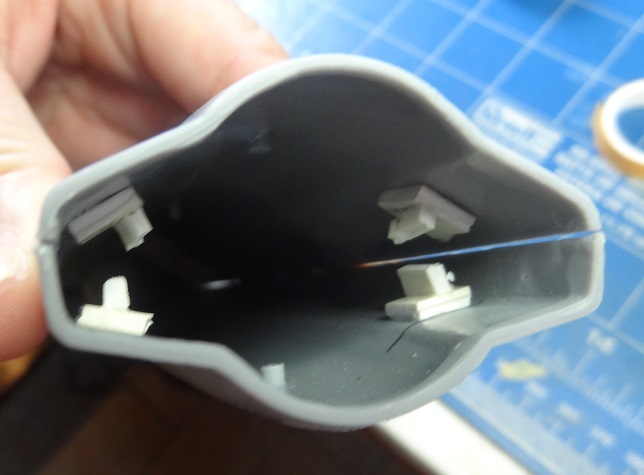 First you will work with resin parts, witch is not a big deal, but you have to take extra care with the very small parts. 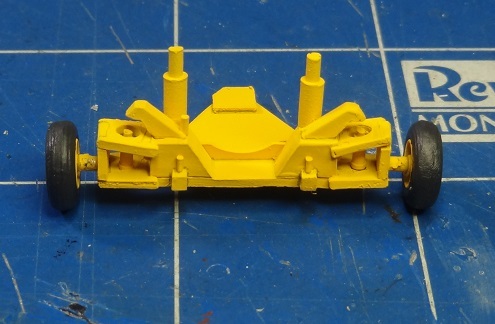 Also, get ready to some serious fitting and sanding of the major assembling parts. Trough the next pictures i will show how i will build my X-15 out of the box. 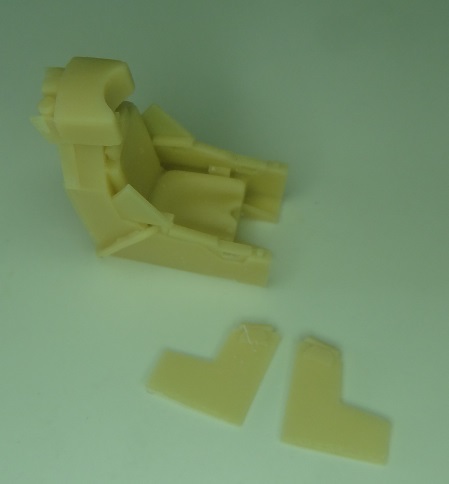 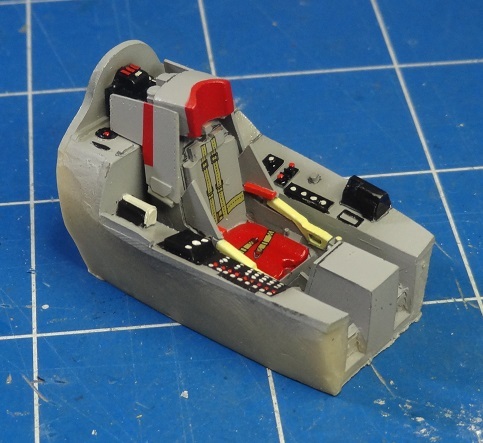 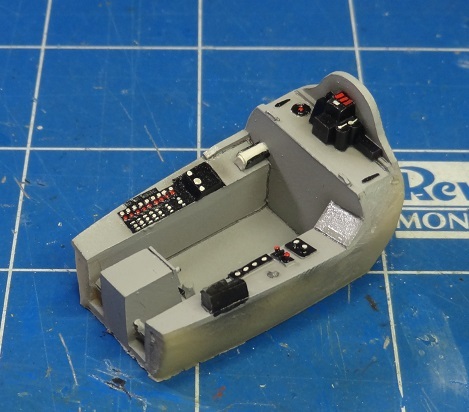 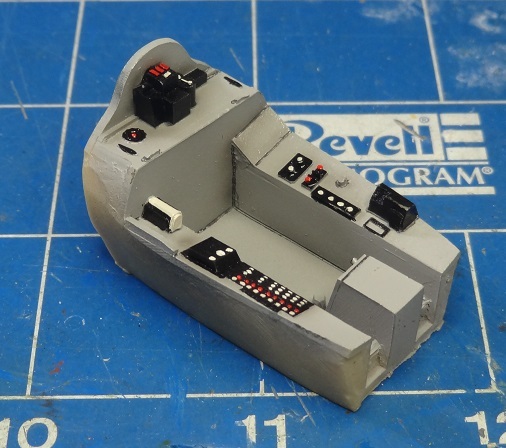 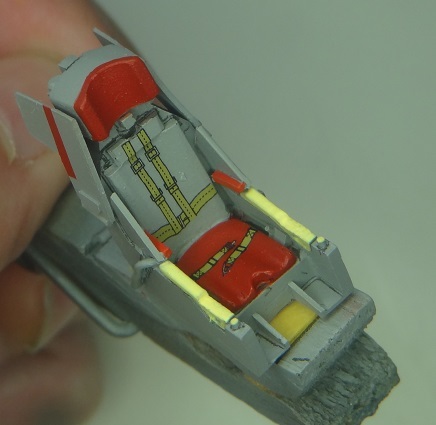 1) The ejection seat: Made out of three resin parts, careful painting will reveal all the nice details. 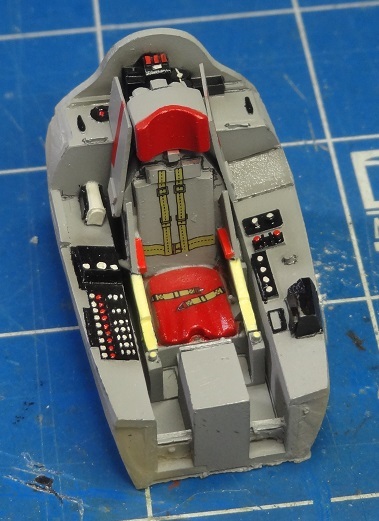 2) The cockpit is next. 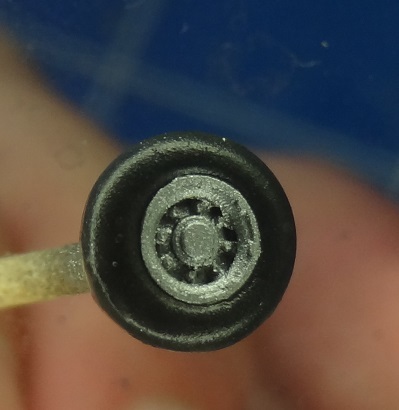 You get several small parts for the control sticks. Again, careful painting shows all the nice details. 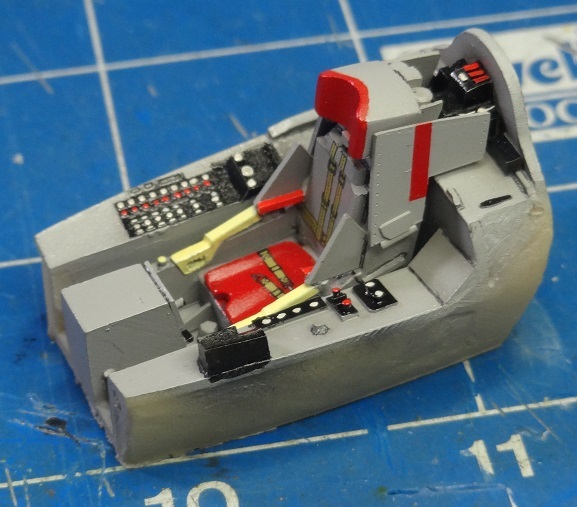 3) Adding the seat to the cockpit makes a nice combination. 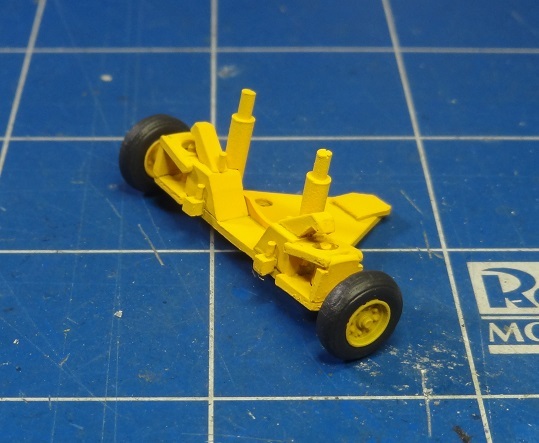 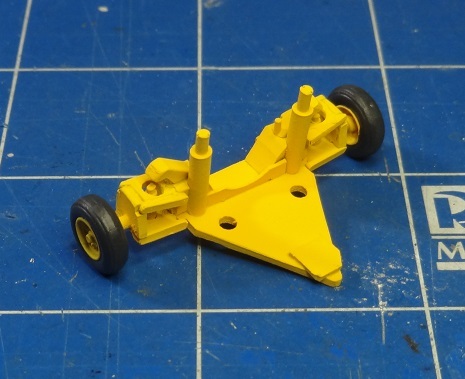 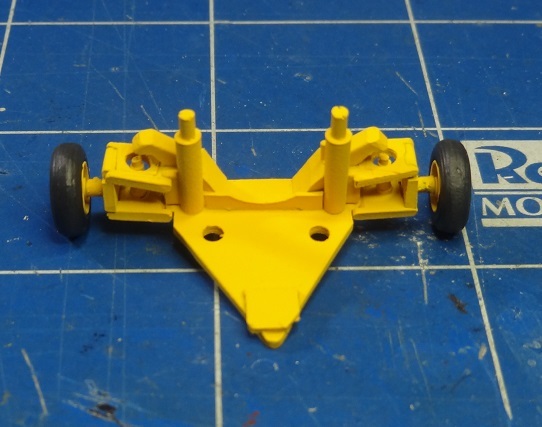 4) Next i built the ground dolly. 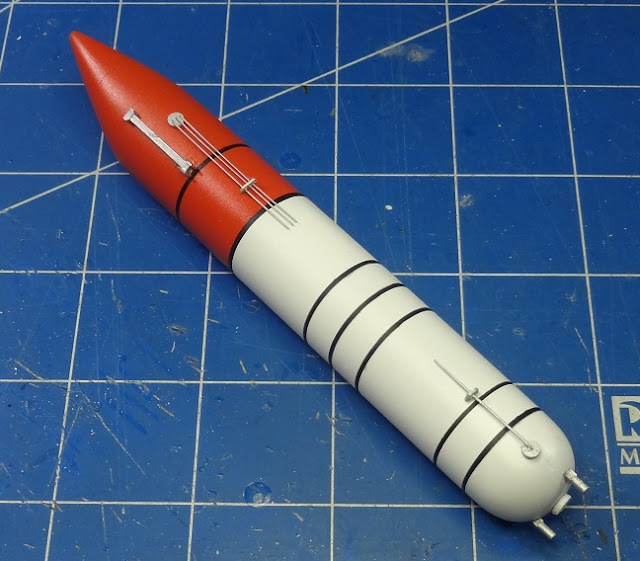 Several small parts turns it into a nice replica of the real ground transport device used specially after landing. 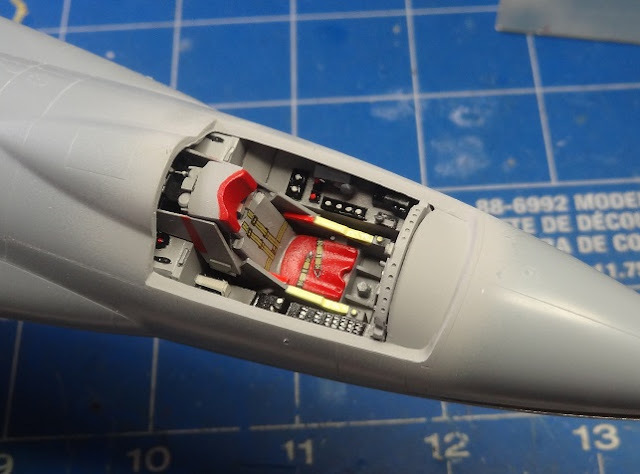 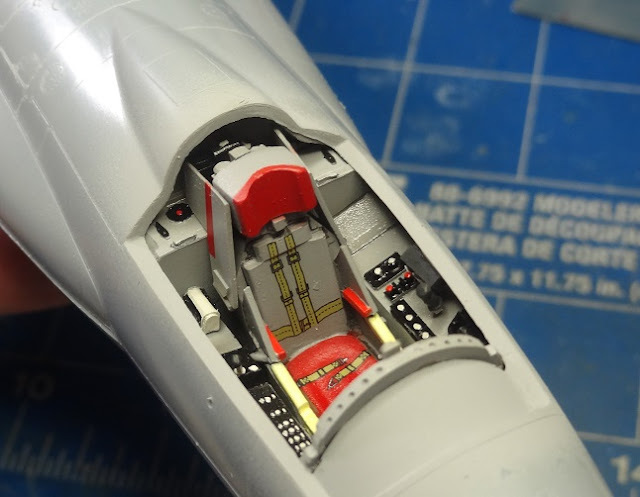 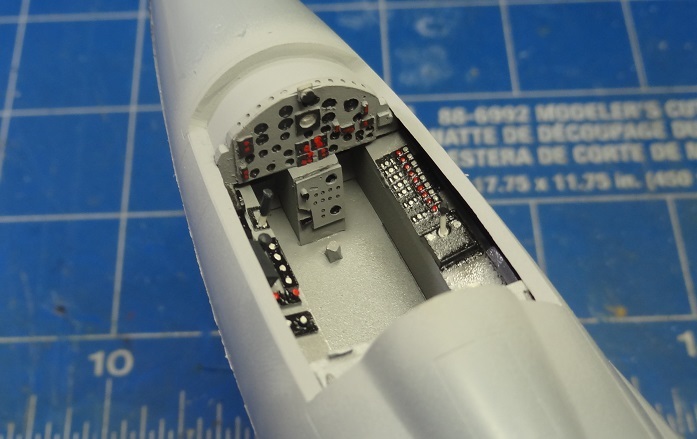 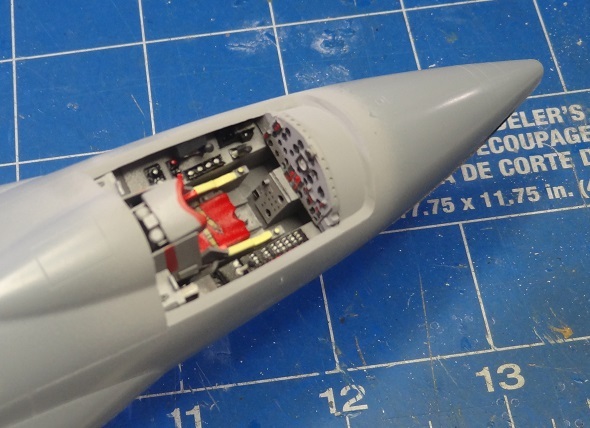 5) Now with some of the details completed, i turn my attention to the fuselage. 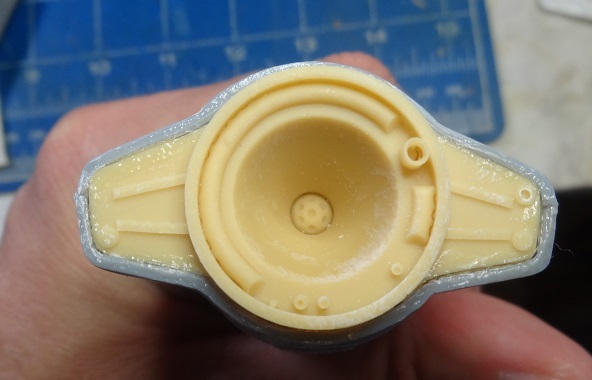 To glue the rocket engine bell resin part to the fuselage i added some plastic parts to help hold it in place. 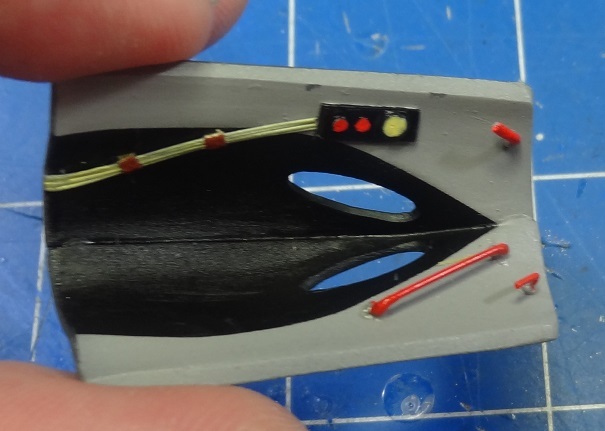 Then i glued the resin part. 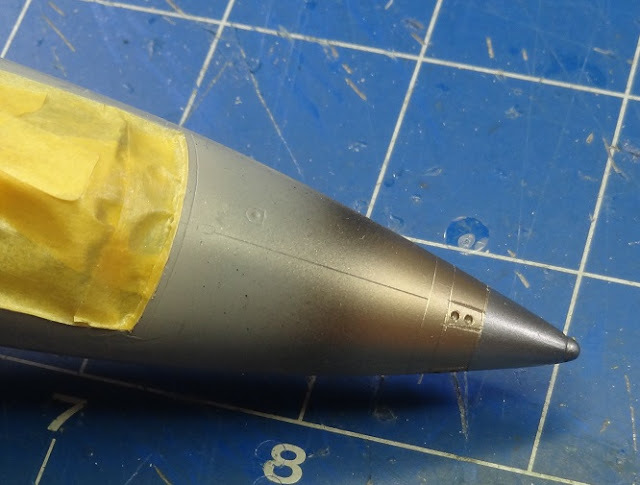 Fit was not that good, so i used superglue as filler. 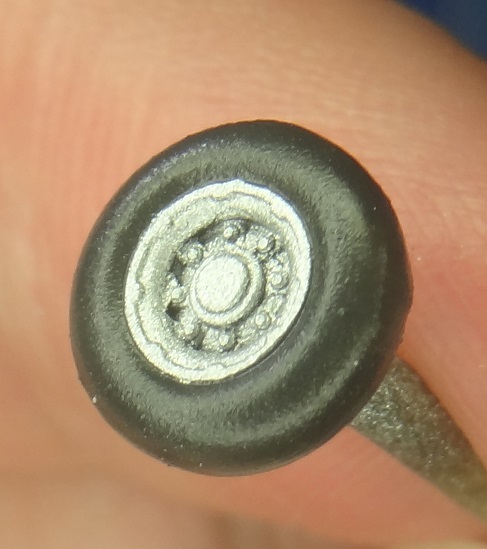 This led me to a lot of sanding and some detail around the engine bell was lost. 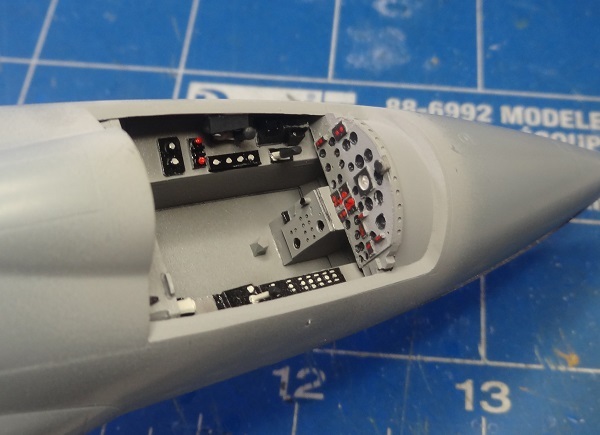 6) Once everything was sanded, the fuselage was done. Masking of the previously painted details was done in order to start painting. 7) The nose area received a metallic finish around the reaction control exhausts using alclad colors. 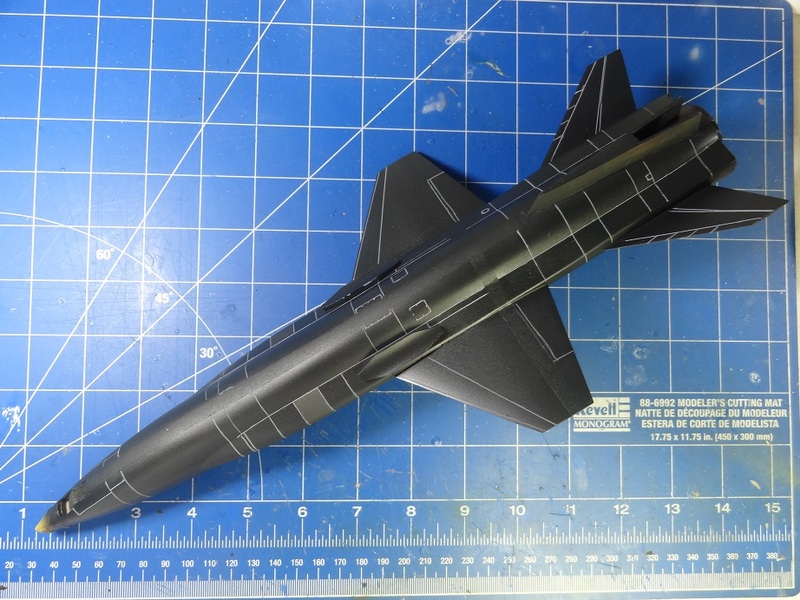 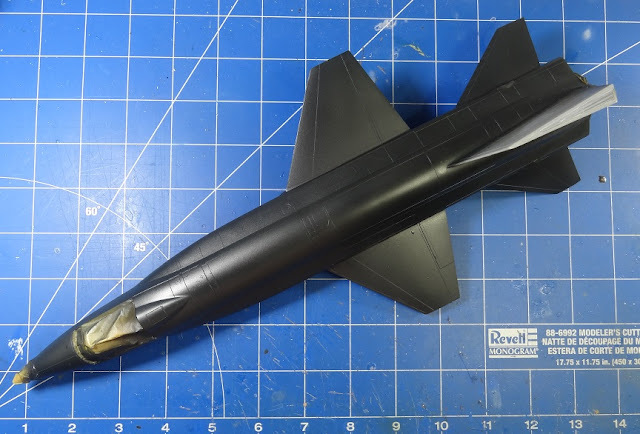 8) The model received an overall coat of Tamiya Nato Black (XF-69). 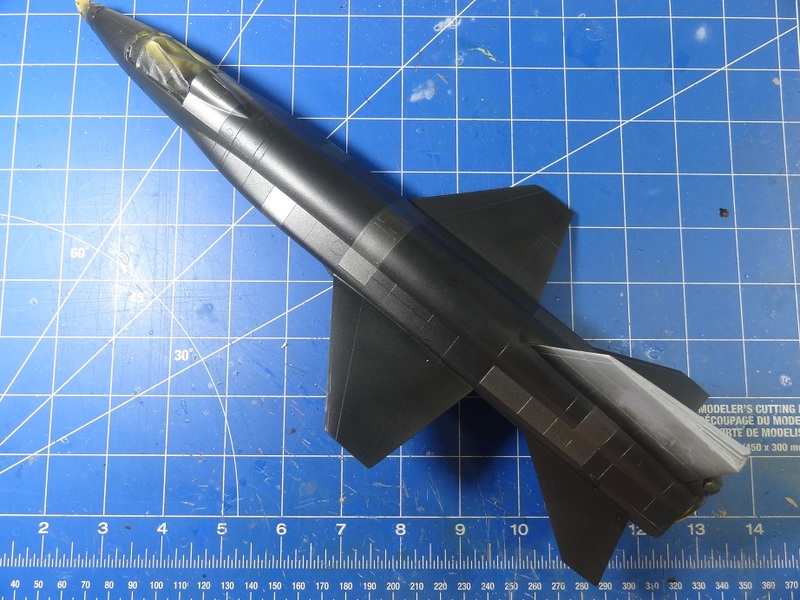 Then some panels were paintd with Tamiya Gun Metal mixed with XF-69. 9) The paint job was sealed with Future. 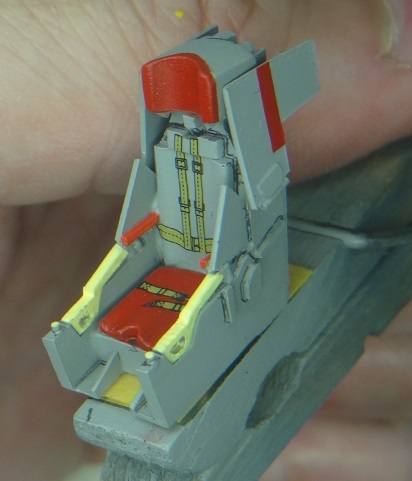 Then a pin wash was done with Humbrol light grey enamel. 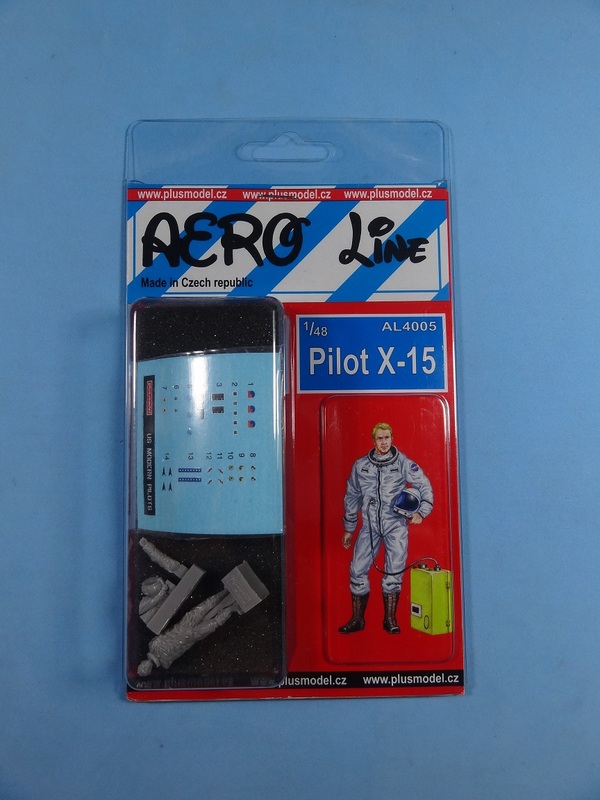 11) As i decided to place my kit on a base, i added Plus Model's 1/48 scale X-15 pilot. 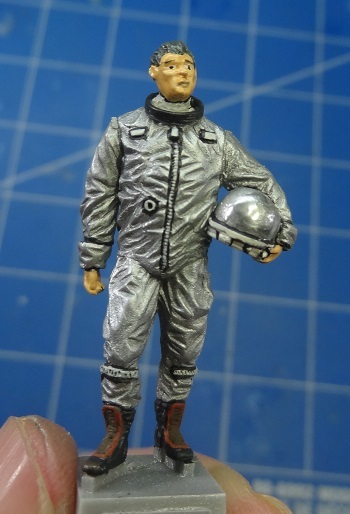 This is a great resin figure. I will publish a kit review and building post on this small gem! 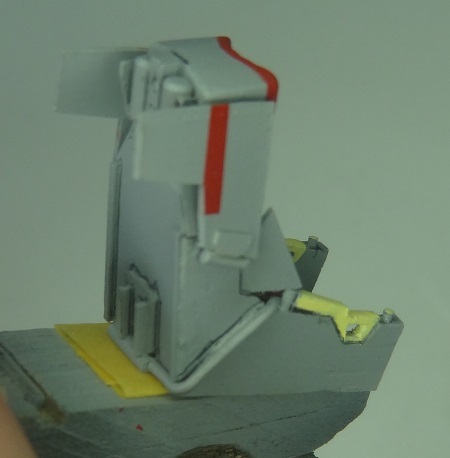 Technical problems: To wash or paint panel lines?